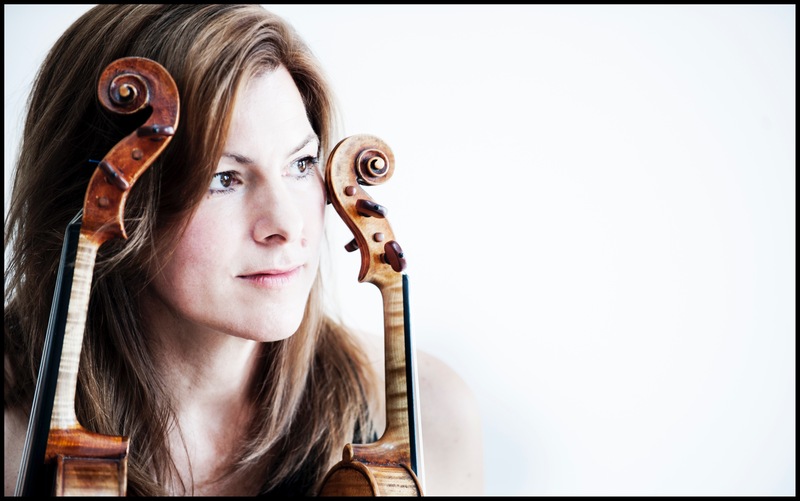 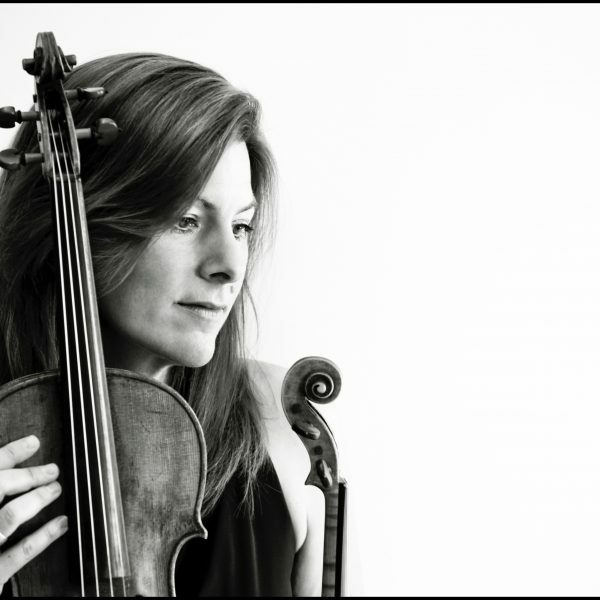 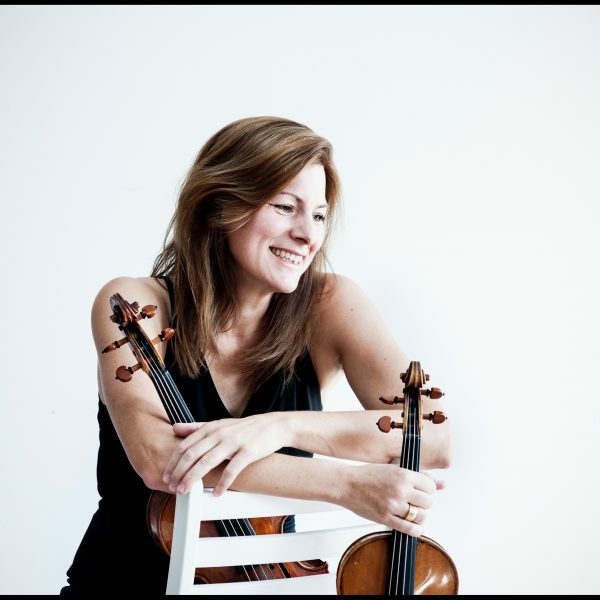 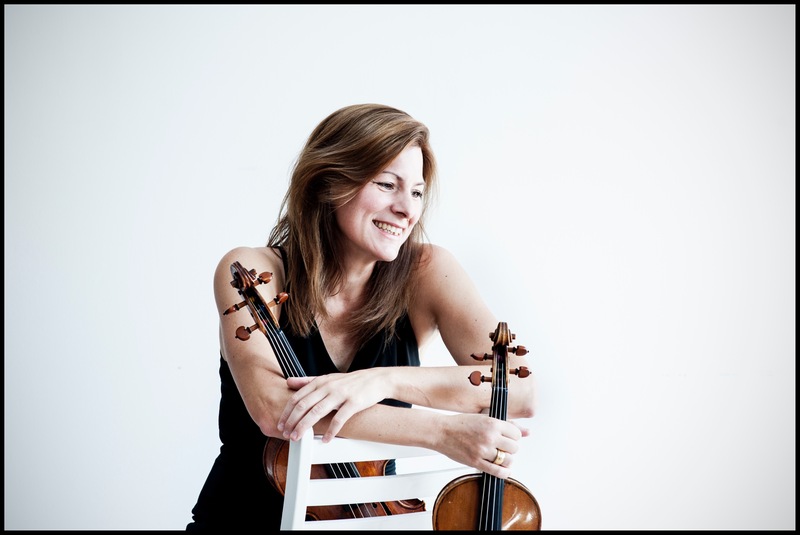 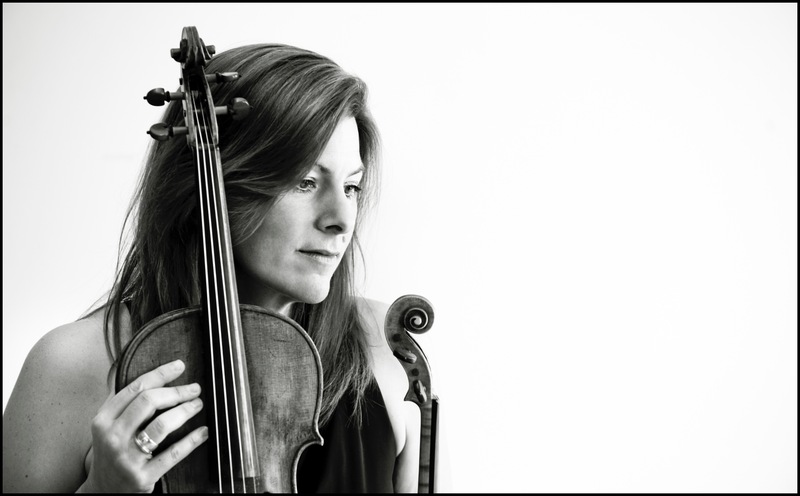 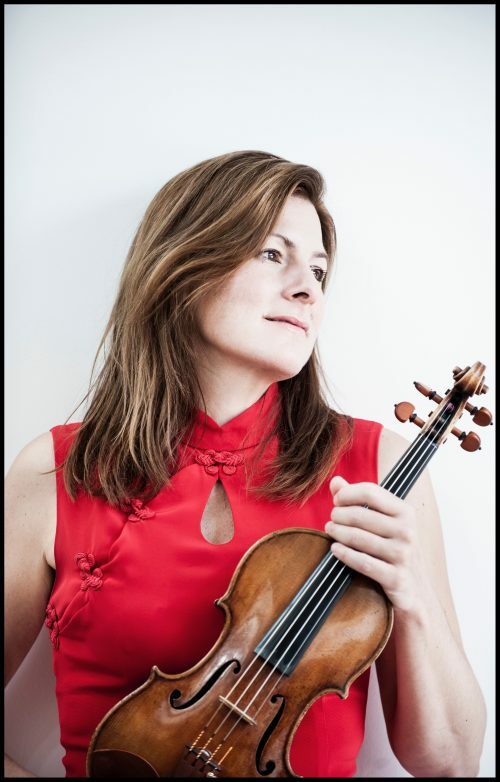 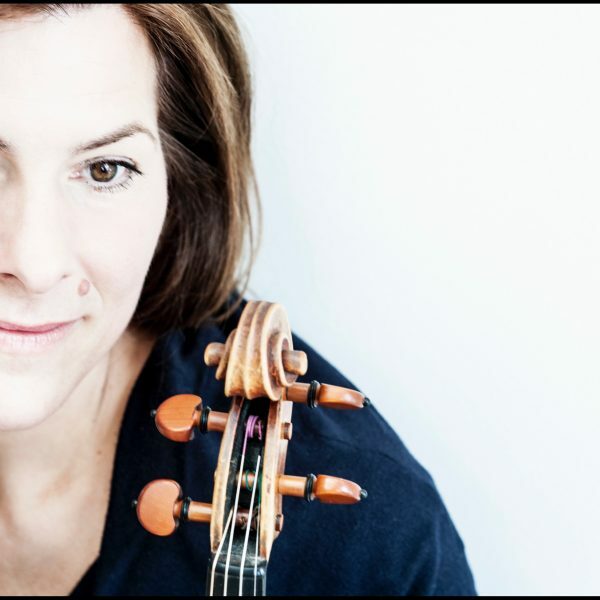 Praised by conductor Heinz Hollinger as “unquestionably one of the most interesting and influential string players of her generation,“ Elisabeth Kufferath is a violinist and violist with a wide ranging styalistic pallate, and remains a coveted chamber musician and soloist. 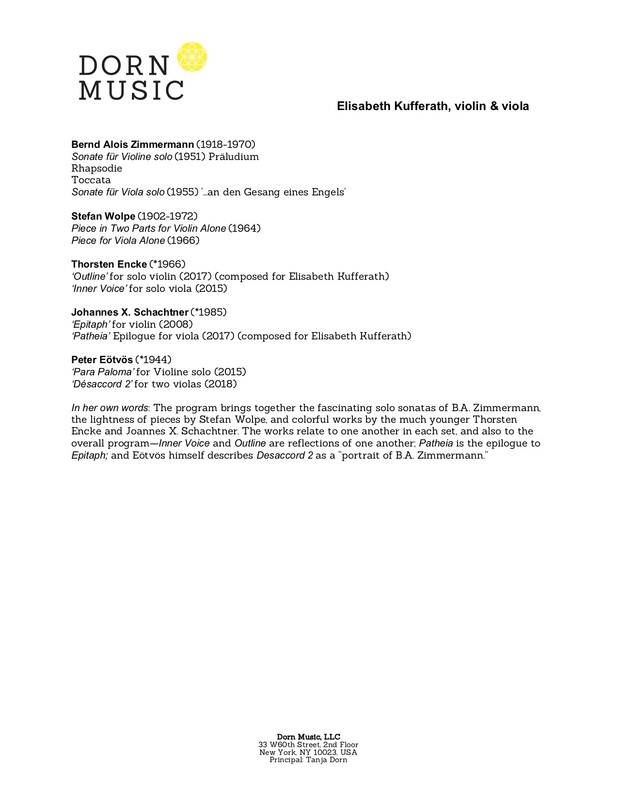 Elisabeth Kufferath’s repertoire is highlighted by contemporary works. 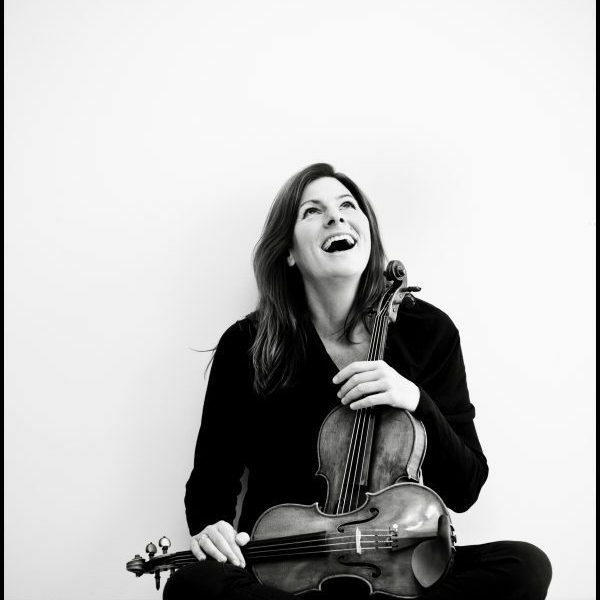 Composers Thorsten Encke and Johannes X. Schachtner wrote works for solo violin and solo viola specifically for her. 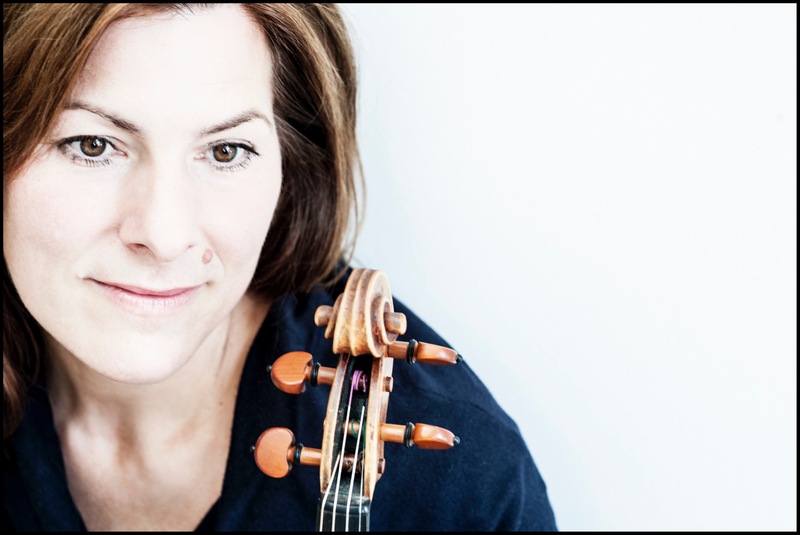 Elisabeth Kufferath gave the world premiere of Jan Müller-Wieland’s “Himmelfahrt”, a work for solo viola written for and dedicated to her, and the German premiere of Elliott Carter’s ‘Figment IV‘ for viola. 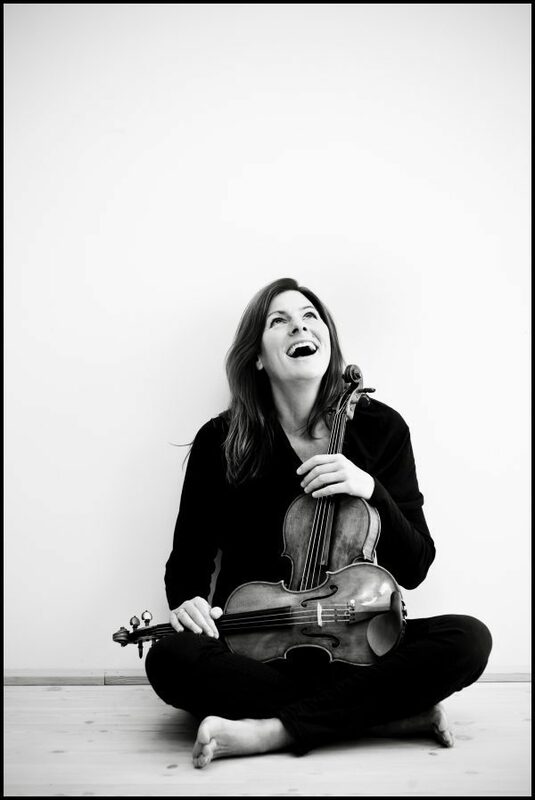 She has collaborated with composers including Moritz Eggert, Zeynep Gedizlioglu, Helen Grime, Ling-Hsuan Huang, Libby Larsen, Georges Lentz, Manfred Trojahn, and Jörg Widmann. 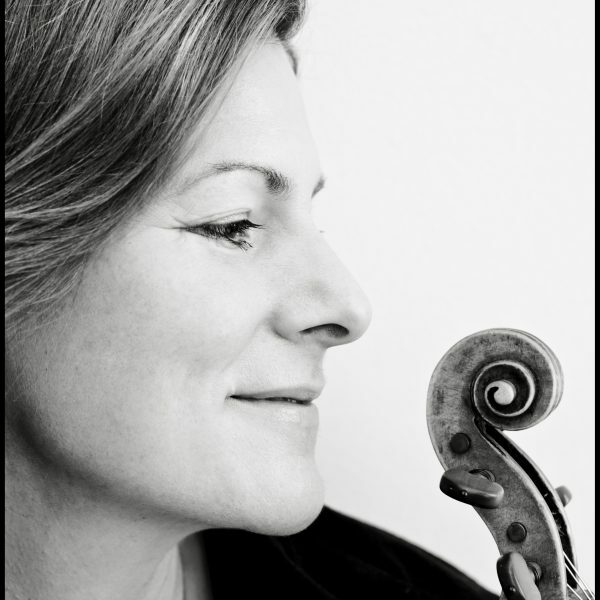 Elisabeth Kufferath has performed with orchestras including the WDR Symphony Orchestra Cologne, Münchener Kammerorchester, Deutsche Radiophilharmonie Saarbrücken Kaiserslautern, Philharmonic Ochestra Gießen, Göttinger Sinfonieorchester, Oldenburgisches Staatsorchester, Ensemble Oriol, Musica assoluta, Kammerakademie Potsdam, and the World Youth Symphony Orchestra. 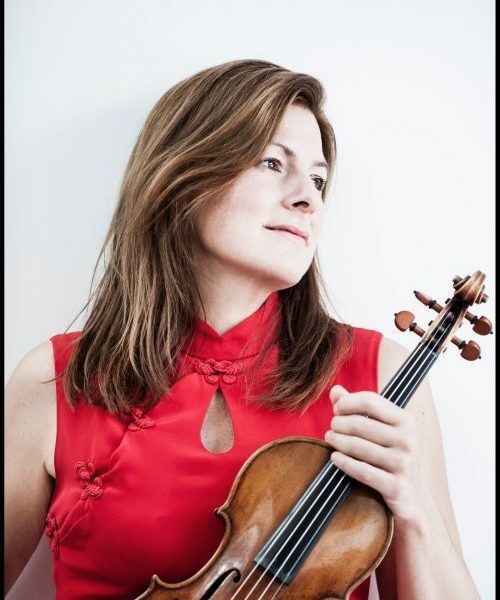 She has collaborated with conductors including Heinz Holliger, Christoph Poppen, Marcus Creed, Paul Goodwin, Alexander Rumpf and Gerard Schwarz. 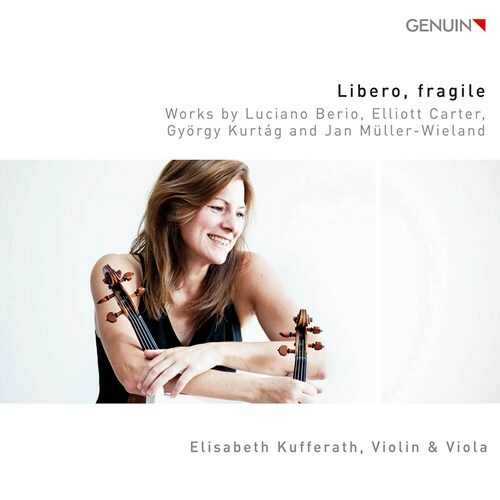 Elisabeth Kufferath‘s first solo CD ‘Libero, fragile’ was released in 2017 on the GENUIN label. 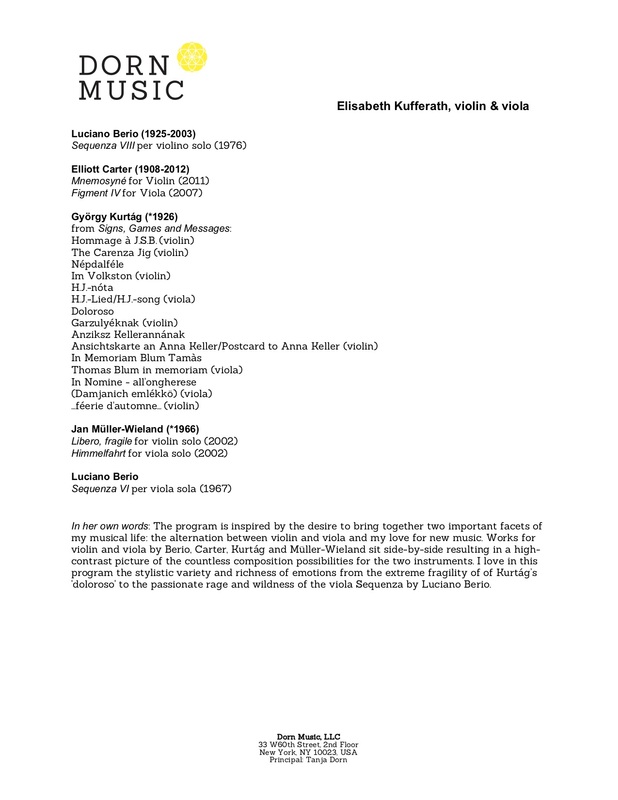 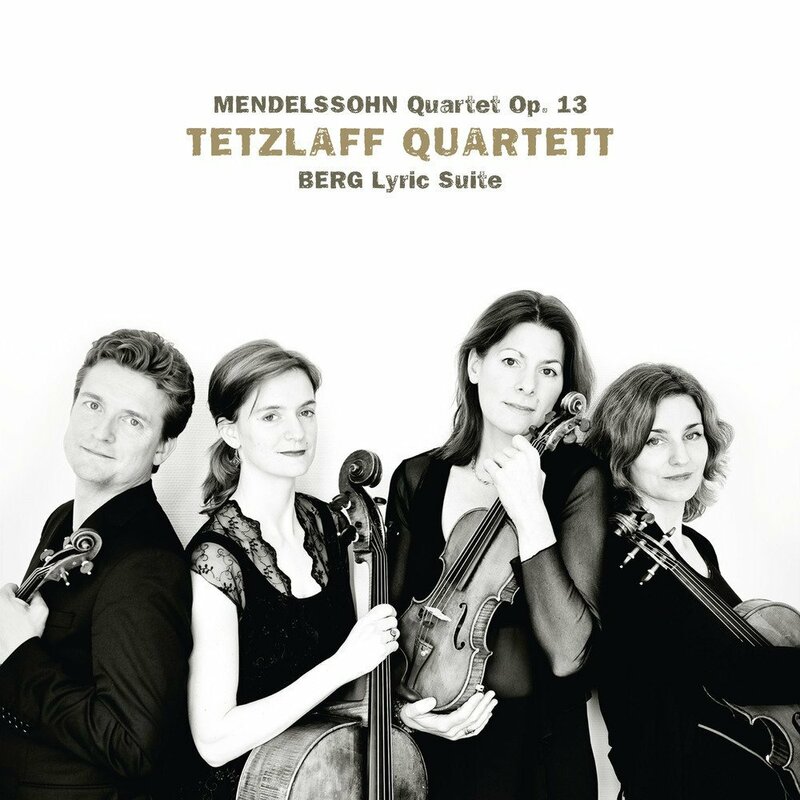 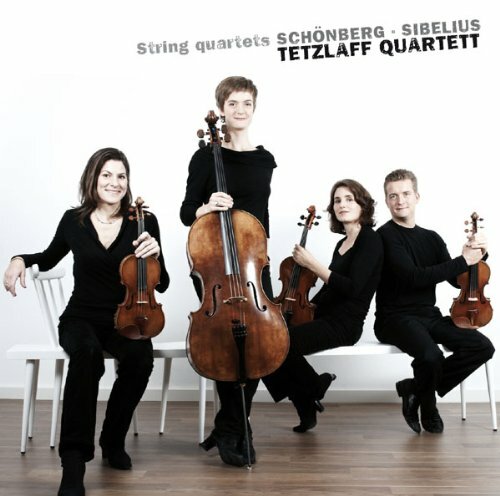 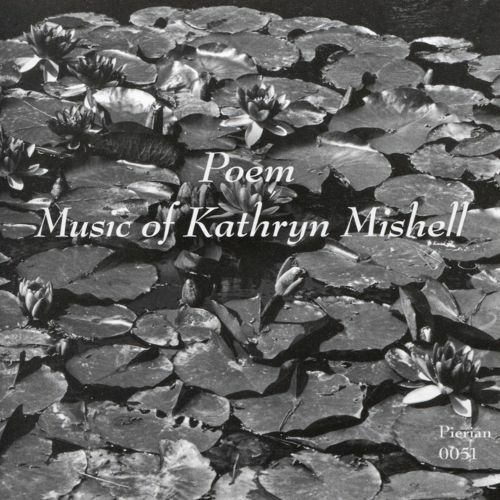 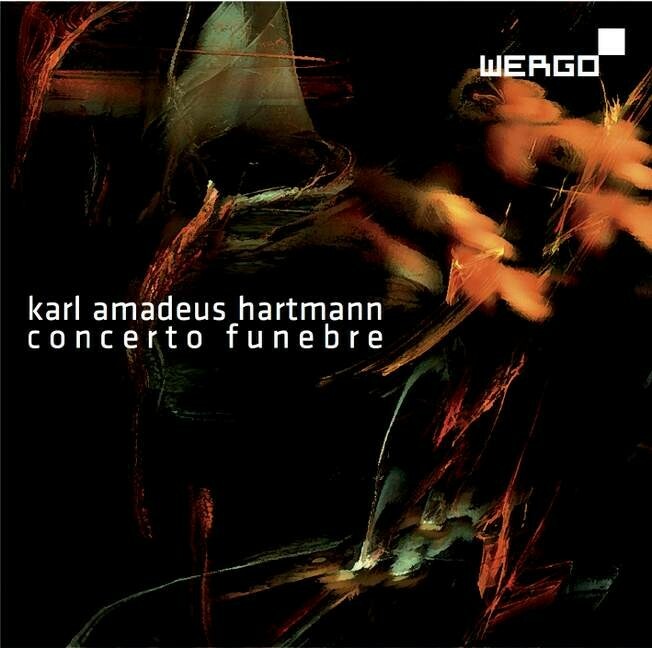 The disk features contemporary works for solo violin and viola by Luciano Berio, Elliott Carter, Györg Kurtág, and Jan Müller-Wieland. 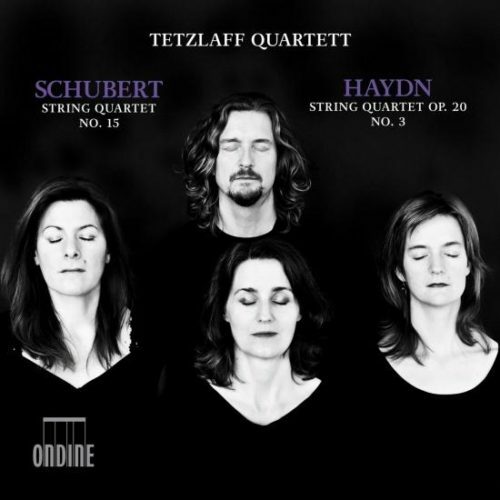 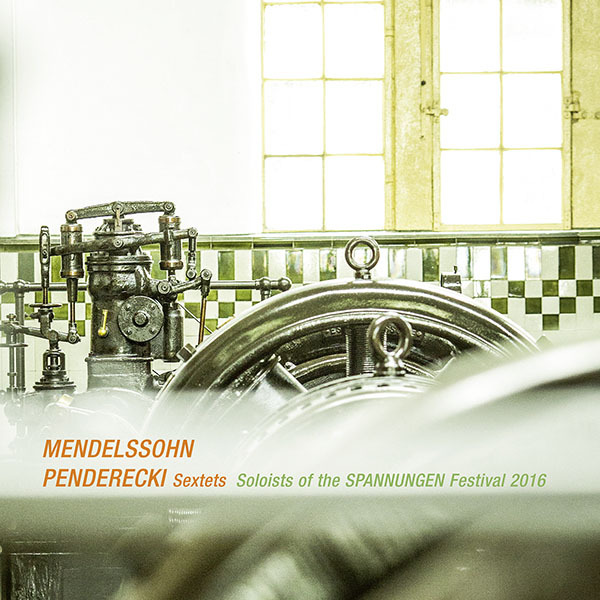 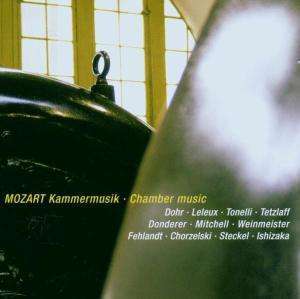 The recording was nominated for a prize from the Deutschen Schallplattenkritik and was enthusastically received by the press. 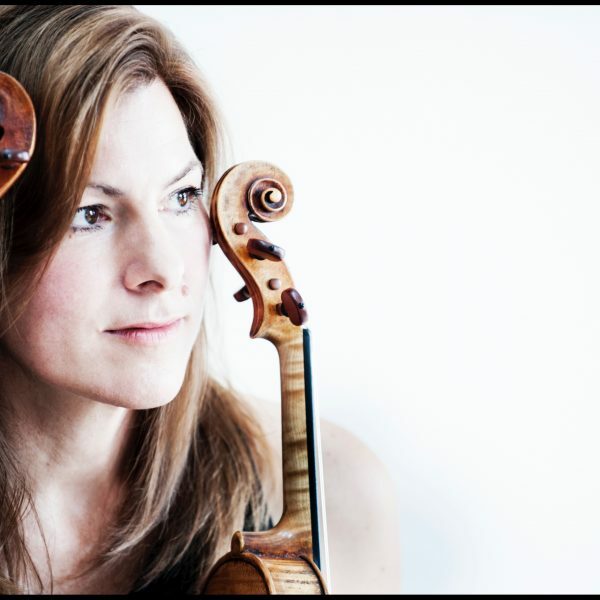 Die Welt acclaimed „”It is astonishing, the way [Elisabeth] Kufferath pivots between free and fragile, from heavenly chirping tenderness to bearing the earth’s burdens, how many colors and even more nuance her playing expresses.” A concert tour featuring works from the CD has been made possible by the generous support of the foundation Stiftung Niedersachsen. 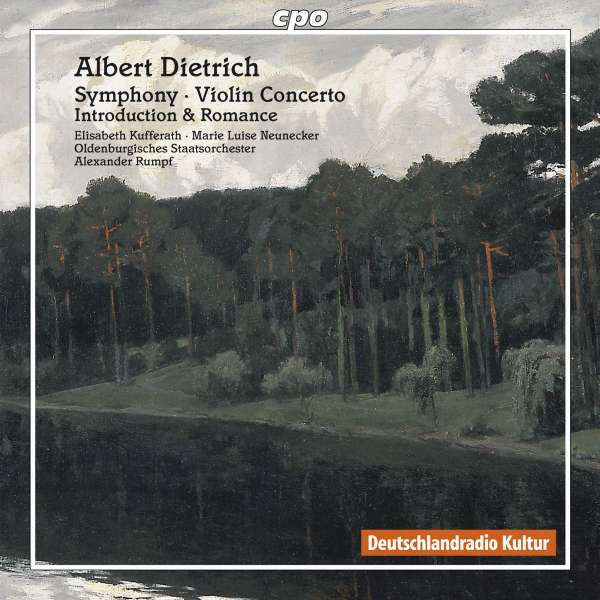 She has additionally recorded the violin concerto of Albert Dietrich and the viola concerto of Karl Amadeus Hartmann. 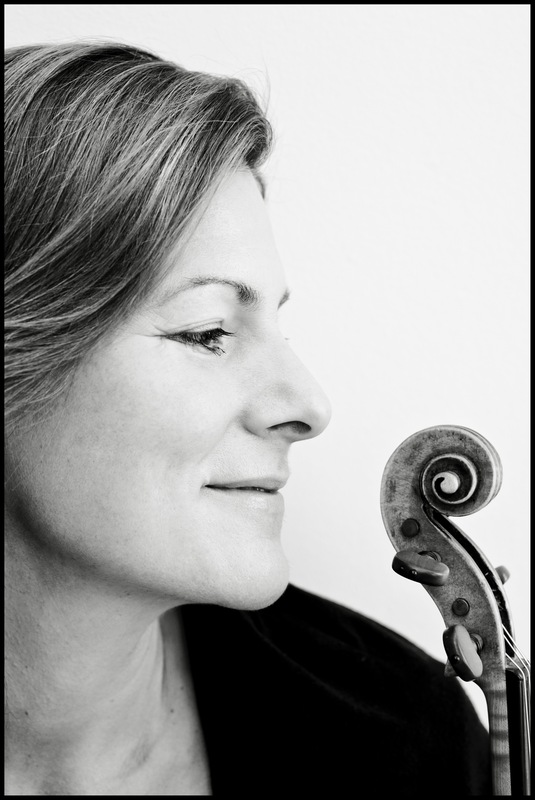 Elisabeth Kufferath is represented in General Management by Tanja Dorn at Dorn Music.